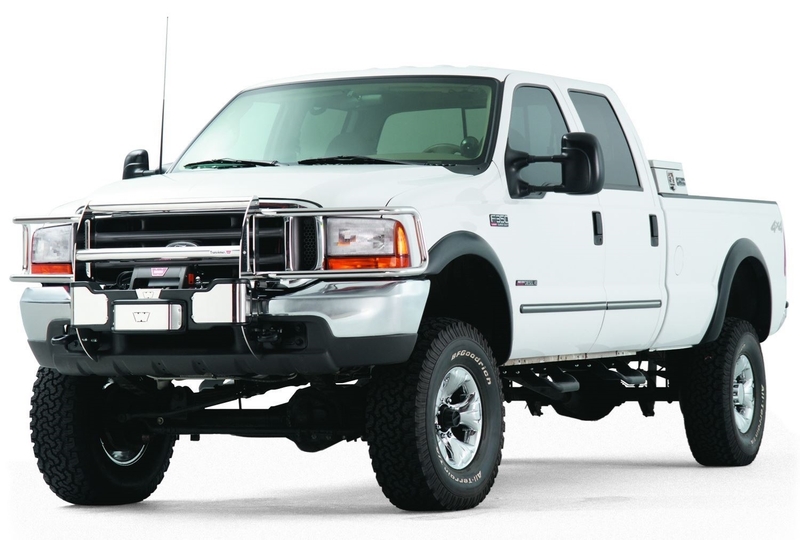 Black Trans4mer Brush Guard for '05-'07 Ford Super Duty Trucks - 69685 | WARN Industries | Go Prepared. Add style and protection with brush guards that compliment your vehicle's lines. Limited 1 Year Warranty. Optional part, comes in powder coated black.